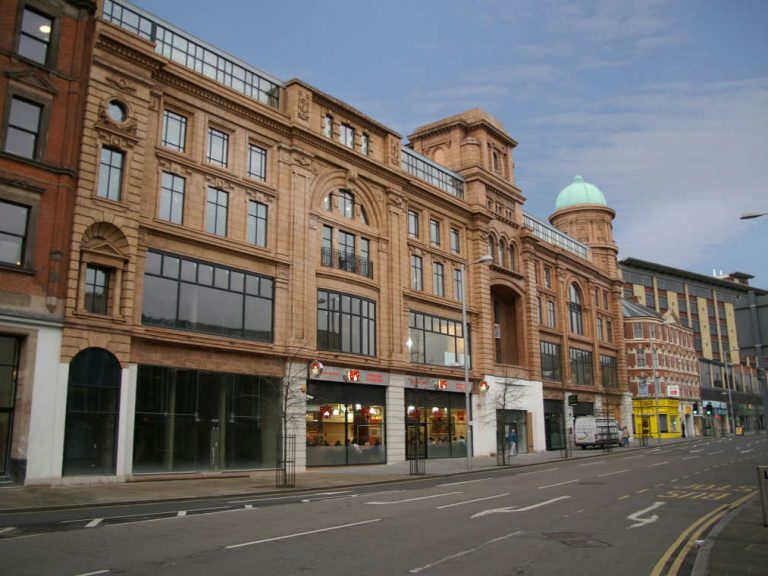 The Axis Development was a major refurbishment of the old Co-operative building based in the heart of Nottingham with strict aesthetic requirements demanded by English Heritage. 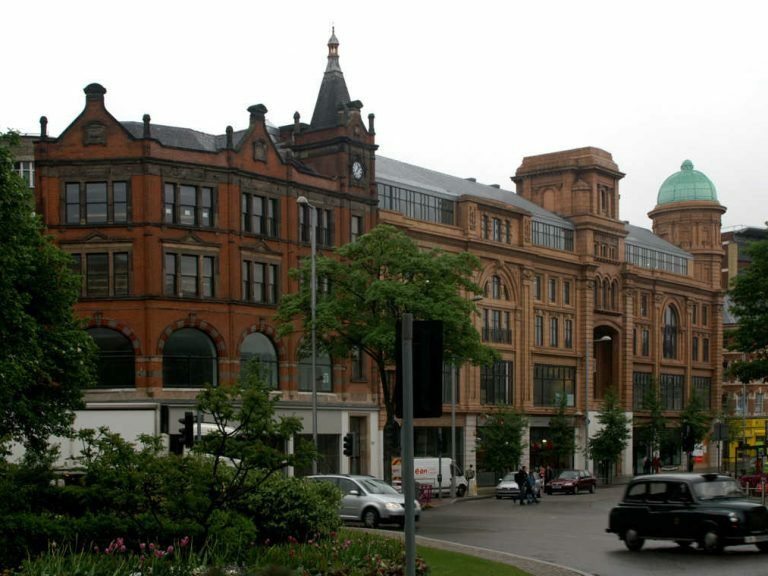 Henry Boot were awarded the £8m redevelopment of the iconic Building in Nottingham City Centre and George Barnsdale helped to create a prestigious mixed-use development. 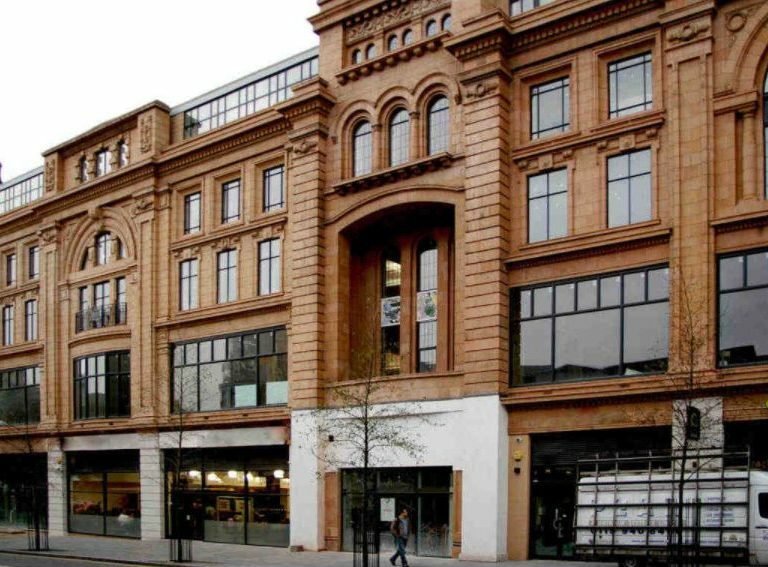 In this spectacular refurbishment of the Co-Op building in Nottingham, all of the 35 sliding sash windows, 4 arched screens and 6 large rectangular screens were designed, supplied and fitted using careful planning by George Barnsdale & Sons. The site offered very limited external working and delivery space and with sealed units measuring up to 6m², good communication between the main contractor and ourselves was very important. All windows were produced to match existing styles using approved hardwood. Our sliding sash window range comprises of traditional box sliding sash, spiral balance, Yorkshire sliding sash and ‘supertilt’ each available with 44mm, 53mm and 63mm sashes with single, double and triple glazing options. All of the timber windows were manufactured from our Lincolnshire base and were fitted by Barnsdale Windows. The Axis Development won the Property Week ‘Mixed Use Development of the Year’ award, and ‘Best Commercial Development’ at the Nottingham Evening Post Property Awards.